Why seal drains permanently with cement? Use our Conical Drain Plug instead. • Removable-allows your drain to function normally when plug is not in place. 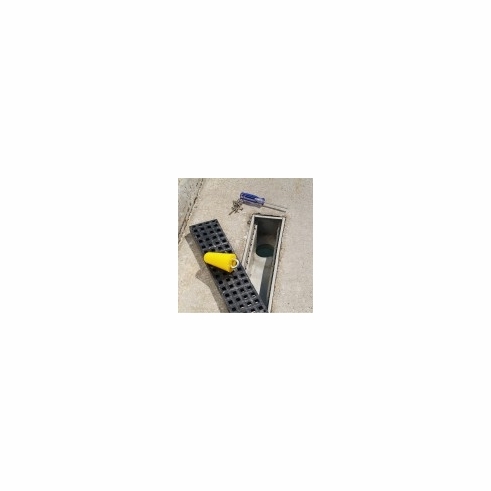 • Non-mechanical-just wedge Plug in drain; ideal alternative to permanently sealing your drains with cement. • Durable polyurethane plug forms a tight, chemical-resistant seal; removes easily with hand tools to restore drain function. •Perfect for general maintenance use-you can keep the Plug in the drain with the drain cover in place. • Seals drains 4" in diameter.